Collingwood fans have hope, although that may not be the best thing. For a long time in season 2016 there was no hope for Collingwood as they meandered through loss after embarrassing loss with the odd win thrown in. Something has changed though, and with three wins in a row this Magpies team is starting to dangle the carrot in front of their fans, hope of finals action this season. Last weekend the Pies went north to Sydney to take on the rampaging GWS Giants and at quarter time everything was going as expected as the Giants led by 24 points. What happened next shocked the football world as Collingwood put on 9 goals to 2 in the second term to take an 18 point lead into the main break. The Pies continued the onslaught in the second half and eventually ran out 32 point winners in their most impressive performance of 2016 to date. The problem is, even after 3 wins in a row they still find themselves 2 wins and plenty of percentage points out of 8th place. It’s false hope really. After their disastrous start to the season the Pies with a 4-8 win/loss record and next to no chance of playing finals, but Collingwood is suddenly a team no one wants to play. The team that has to play them this week is Adelaide, as the Pies head west to face the Crows at home on Saturday night. Similar to the Giants before they met the Magpies, it could be argued that the Crows are the in form team of the competition at the moment. That is backed up by a current seven game winning streak that sees Adelaide positioned in third spot at threatening to be a real premiership contender. The Crows are an attacking force like no other and simply pound their opposition into the ground with high scores. History between these two seems to show that winning streaks in this matchup are the norm. With Collingwood winning 6 games in a row between the pair from 2009 to 2013. The Crows changed the momentum recently though with wins in the most recent 3 meetings. Collingwood an Adelaide have only played once at Adelaide Oval too with the Crows coming away with a 21 point win in 2014. So what’s changed? Why all of a sudden is this Collingwood team capable of winning games in succession and defeat one of the best sides in the competition? The answer probably lies in a mixture of personnel and attitude. The Pies hit a low point this season with consecutive heavy losses to Port Adelaide and Melbourne, two teams they would have expected to defeat. That final loss to Port Adelaide woke the entire club up it seemed and sitting with a 4-8 record in the bottom six was enough to embarrass them into action. The return to form and fitness of several star players has also hoped, with Reid, Adams, Fasolo, Moore, Brown, Cloke, Sidebottom and Sinclair all missing games earlier in the year for different reasons. Last week against the Giants was as good of a performance and effort than we may have seen in Nathan Buckley’s entire coaching career. Bucks and his support had a good day indeed, with plenty of the coaching moves coming on the day. But overall it was the effort, intensity and willingness to work together than lifted the Pies after quarter time to that great win. There were plenty of stars on the day but the two who stood out the most were Brodie Grundy and Travis Cloke. Both have been criticised by media and fans alike this year for their performances but on Saturday they showed just how good they can be. In Grundy Collingwood arguably have the best young ruckman in the AFL and the sky is the limit indeed for big Brodie. The Magpies have to back it up though, and at the moment there’s no tougher task in football than a trip to the Adelaide Oval to play the Crows. Adelaide are on fire, and are in the best form their fans have seen them in years now. 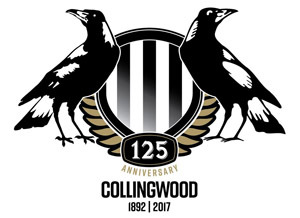 For Collingwod to go interstate and beat them, a lot will have to go right. The Pies will have to win first use of the ball more than the Crows, and just like last week against the Giants, will have to move the ball quickly and accurately to give their forwards a chance at dominating. The biggest worry when facing the Crows is their super talented forward line, but the Pies defense did so well against the Giants last week that they’ll go into this game with a lot of confidence. 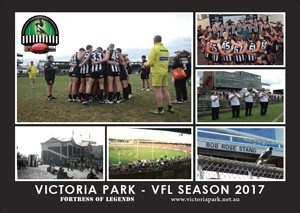 There may be defensive reinforcements called in though with the likes of Toovey, Frost, Williams and Goldsack performing very well in the VFL Magpies 7th win in a row on Sunday. Along with the two players who were effectively rested last weekend, Mason Cox and Levi Greenwood, that group will push for senior selection. I can’t envisage many changes though after such a dominant win. The Adelaide Crows really do need to be admired. After a tumultuous season in 2015 and the loss of a superstar player in Patrick Dangerfield in the off season, they could have been forgiven for dropping out of finals contention in 2016. But no, after 15 games the Crows find themselves in the top 4 and in the midst of a 7 game winning streak. They’ve done it through brutal force, brutal scoring force that is. After 15 games the Adelaide Crows have scored more points than anyone else in the AFL and their forward line is arguably the deadliest. Their midfield has somehow got better even with Dangerfield’s departure. The Crows are a genuine premiership contender with 7 games left in the home and away season. The Adelaide forward line is a thing of beauty really. The Crows have four dangerous forwards who each on their day can boot a bag of goals. Eddie Betts is perhaps the best small forward in the AFL at the moment, especially at Adelaide Oval. There’s no surprise that Betts is in career best form when he gets to feed off three talented talls in Jenkins, Walker and Lynch. There’s also a few bit players in this attack with McGovern, Cameron and the midfield players chipping in to add up to the most dangerous forward line in the AFL. The Magpies backline will have their hands full on Saturday night indeed but if the last 3 weeks are any indication this Pies defense has got it’s mojo back. With Reid, Howe, Brown, Maynard and Sinclair all fit and firing, the Magpies will believe they can take on and restrict this stunning Crows attack. The story of the Crows year though is their midfield. Most teams, after losing a top 10 ranked AFL player in Dangerfield would collapse and go backwards in the middle. Not Adelaide though. They have actually improved, and rank third for clearances and second for contested possessions. Those stats are stunning, and it’s a total group effort that everyone has bought into. Led by the ever reliable Scott Thompson, who this week plays his 300th game, the Crows give their forwards every chance to succeed with the third most inside forward 50 entries in the league. Thompson is ably assisted by a plethora of talent, with Crouch (x2), Mckay, Sloane, Adkins, Douglas and Lyons all rotating through the middle. They also possess a quality ruckman in Sam Jacobs, who has the Crows positioned well above the Pies in average hitouts. 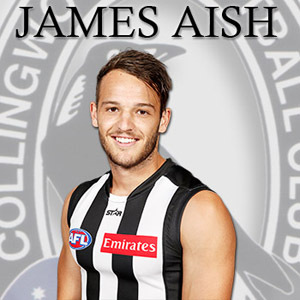 Collingwood does possess a talented midfield of it’s own, although up to last week it was getting smashed in the clearances. The Pies turned that around after quarter time against the Giants and with Taylor Adams back and firing this battle of two high quality midfields’ may decide the game. If you had to pick out a weak area for the Crows it would be their defense. Although even with the high scoring nature of Adelaide games they have still only conceded the 8th least points. It is interesting to note though that the 7 defenses ranked better are the other 7 likely finalists. The Crows do have some talented defenders but they rely on the team as a whole to defend space when the opposition get the ball. Daniel Talia is the reliable one down back, and is likely to take Travis Cloke although he will need assistance from the likes of Lever, Cheney, Hartigan and Smith. The Crows rank high for rebounds from defensive 50 too though and this is mainly due to two players, Rory Laird and Brodie Smith. Laird is another one in career best form and would have to be in All Australian contention at the moment. The Crows backline will match up on a Collingwood forward line that up to quarter time last week were dysfunctional to say the least. Then something clicked, as the Pies kicked 16 goals in three quarters to destroy the Giants. The fitness of Alex Fasolo will go a long way to deciding just how hard a job the Crows backline has on Saturday night. 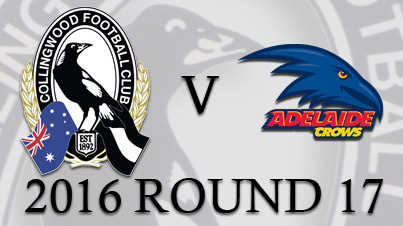 The Crows will look to maintain Adelaide Oval as a stronghold on Saturday night. They’ve only lost the one game there this season and won’t want to lose any more in the run in, especially to a side like Collingwood. This is a huge game for Adelaide, a chance to consolidate it’s spot in the top 4 and really launch it’s claims as a premiership contender. If the Magpies outfit that turned up last week comes to play though, this won’t be the walkover most Crows fans thought it would be just a few days back. The Crows aren’t likely to make many changes at selection, with ex Magpie Paul Seedsman the most likely inclusion if he’s fully recovered from injury. Adelaide will head into this game with the healthier list for sure. It’s third versus eleventh on the ladder but this game’s importance has gone through the roof in just a few days. For one it’s a chance to stay in the top four, while for the other it’s a chance to keep their slim finals hopes alive. The Crows will be favourites at home, and rightfully so based on recent form and their great record at home. This Collingwood team though is extremely unpredictable, with no one seeing the performance they put in last week coming. If they can repeat that, and Alex Fasolo takes his spot in the side, the Pies may just be able to cause a second upset inside 7 days. Collingwood’s VFL team is flying. With a massive win up at North Ballarat last week the VFL Magpies are entrenched in the top 4 after 7 wins in a row. This Sunday they travel out to Frankston to take on the Dolphins. Start time is 2pm at Frankston Oval.